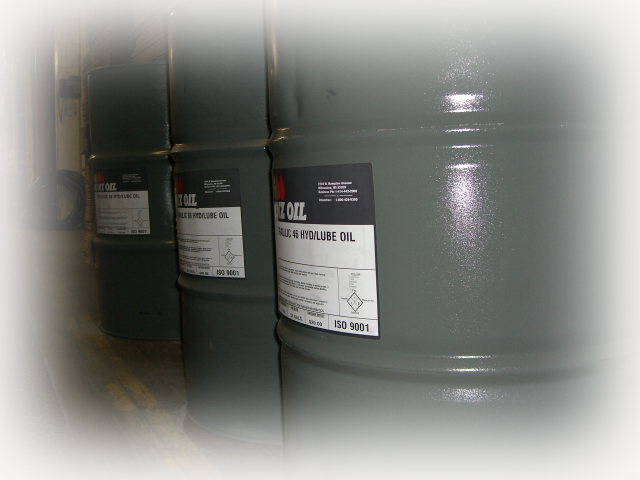 We offer all ISO grades and weights of fluid. The proper hydraulic and machine oil for the job starts here! These guides to locating and where to purchase the right hydraulic fluid can be dode here easily! The information on this page is presented as a courtesy for our web guests. 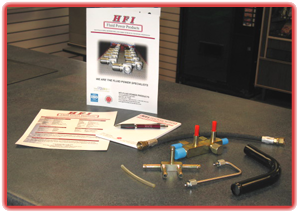 HFI Fluid Power Products does not actively involve itself with hydraulic fluid technical advice. We primarily sell hydraulic adapters, tube and hose assemblies, as well as components such as valves. Hydraulic fluid is offered to our local customers, but we shy away from sales of hydraulic fluid outside of our local area. If the information you are looking for is not on this page, we suggest you contact the technical support of one of the US's larger hydraulic fluid producers, such as Shell Global. Their technical support phone number is 800-237-8645. The HFI Filter Element Wizard allows you to input your mfg part number and will return all interchanges found in its massive database. HFI Fluid Power Products makes no guarantees or promises regarding the information provided below, and any information given regarding the choices of hydraulic fluid to use is listed as a guide only, and is subject to correction or improvement. How to determine the best choice of hydraulic fluid to use for your equipment or system. Although many manufactures of hydraulic fluid provide various grades of detergents and oxidation stability in the fluids they produce, the single factor that should weight the heaviest in determining the best choice of fluid to use is viscosity, otherwise known as the fluid's weight. Viscosity is also most often expressed as the fluids ISO number or grade. Common ISO grades for use with hydraulic systems include 32, 46 and 68. Sometimes, 10, or 10 weight is mentioned as well. I would like to point out that for basic operation of any hydraulic system without concern to long-term effects of the systems life, 10W-40 automotive engine may be used, providing it does not contain degertant additives, and these additives used in engine oil can cause corrosion and cavitation. This occurs because the detergents can cause water that has condensed into the system to emulsify, preventing it from being seperated from the oil. It is recommended however, that a proper hydraulic fluid be used, and chosen based on its ISO grade. These fluids do not contain harmful additives that can cause damage to components, and are designed to work within a specific temperature range. Higher viscosity hydraulic fluid tend to reduce the system's operating temperature by increasing the volumetric efficiency of the pump. If the viscosity is too high, however, will cause poor mechanical effieciency by increased friction during startup, and may lead to cavitation. Finding the right ISO grade that balances the benefits of volumetric effeciency against the drawbacks of mechanical efficiency is the key to a good long term oil choice. Ultimatly the manufacturer of the equipment knows this value and is always best to consult the manufacturer to try to obtain the answer. When it is not possible to do this, the age of the machinery may be taken into consideration, as the effects of heat and friction may affect the decision process. The following charts, provided by Paul Michael, Fluid Power Institute; Steven Herzog, Rohmax Oil Additives; Thelma Marougy, Eaton Hydraulics Operations, "Determining Hydraulic Fluid Viscosity Requirements". Machinery Lubrication Magazine. 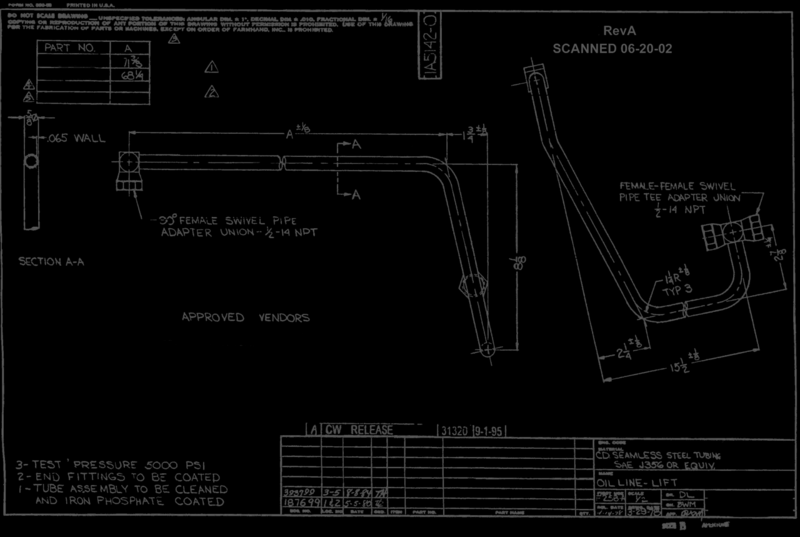 January 2007 may be helpful in determining the correct ISO grade for your hydraulic system. The following chart may be used to cross over some of the more common brands of hydraulic fluid. The following chart may be used to help determine the proper ISO grade hydraulic fluid to use with your system by referencing the manufacturer and model pump used in your equipment or fluid powered system. In the chart below, the ISO grade (32, 46, 68) fluid to be used should fall within the range of the optimum cSt listed in the right-hand column. 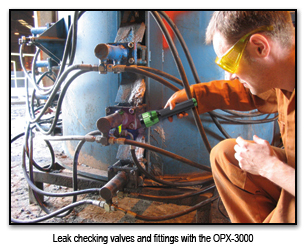 Click here to request information concerning hydraulic fluid leak detection. HFI Fluid Power products supplies Leak Detection solutions through Spectronics Corp.